NTC is proud to introduce its newest members! Creating world-class professional theatre for Central Indiana audiences of all ages has remained a career-long passion for Janet Allen. She began at the IRT in 1980 as the theatre’s first literary manager–dramaturg. After four years in New York City, she returned to serve ten years as associate artistic director under mentors Tom Haas and Libby Appel. Named the IRT’s fourth artistic director in 1996, she is now in her 23nd season in that role. In 2013, she was named the IRT’s executive artistic director. During Janet’s tenure, the IRT has significantly diversified its education services to both adults and children, expanded its new play development programs, solidified its reputation as a top-flight regional theatre dedicated to diverse programming and production quality, and established the IRT as a generous content partner with organizations throughout central Indiana. Janet’s passion for nurturing playwrights has led to a fruitful relationship with James Still, the IRT’s playwright in residence for 20 years, and the creation and production of 16 new works—the Indiana Series—that examine Hoosier and Midwestern sensibilities (seven of them by James Still). Her collaboration with playwrights has brought the theatre prestigious grants from the Pew Charitable Trusts, the Joyce Foundation, and the Doris Duke Foundation, as well as numerous grants from the National Endowment for the Arts and Shakespeare for a New Generation. of The Diary of Anne Frank, in collaboration with Seattle Children’s Theatre. Janet studied theatre at Illinois State University, Indiana University, University of Sussex and Exeter College, Oxford. As a classical theatre specialist, she has published and taught theatre history and dramaturgy at IUPUI and Butler University. Janet’s leadership skills and community service have been recognized by Indianapolis Business Journal’s “40 Under 40” Award, the Network of Women in Business–IBJ’s “Influential Women in Business” Award, Safeco’s Beacon of Light in Our Community Award, a Distinguished Hoosier Award conferred by Governor Frank O’Bannon, Girls Inc.’s Touchstone Award for Arts Leadership, and the Indiana Commission on Women’s “Keeper of the Light” Torchbearer Award. She is a proud alum of the Stanley K. Lacy Leadership program (Class XIX) and the Shannon Leadership Institute in Minneapolis, Minnesota, and is a 2013-14 Arts Council of Indianapolis Creative Renewal Arts Fellow. In 2015 Janet was inducted into the College of Fellows of the American Theatre at the John F. Kennedy Center for the Performing Arts and received a Medallion Award for significant national contributions from the Children’s Theatre Foundation of America. In July 2017 Janet was named an Indiana Living Legend by the Indiana Historical Society. In December, 2018, she will be inducted into the National Theatre Conference, a gathering of distinguished members of the American Theatre Community. Janet is a member of the Indianapolis Woman’s Club and Congregation Beth-El Zedeck. She lives in an historic house built in 1855 in the Chatham Arch neighborhood with her husband, Joel Grynheim, and a lovely canine mutt. They enjoy following the adventures of their children, Daniel, Leah and Nira, all now safely out of the nest and thriving! ​Keith Byron Kirk is Assistant Professor of Performance Studies and Director of Graduate Studies at Virginia Commonwealth University’s Theatre Department. He received his MA in Performance Studies and Playwriting at New York University’s Gallatin College and his doctorate at Northwestern University. He is the author of the plays Ft. Lonesome, Urban Trilogy, and Stone, Baby Solitaire. His play As Reaper in Summer Grain was developed at the Eugene O’Neill Playwright’s Conference and The Transport Group’s “The Audience” which was nominated for a 2005 Drama Desk Award. He has performed with Steppenwolf Theater Co., and the Goodman Theatre as well as The La Jolla Playhouse, Britain’s National Theater and has appeared on Broadway in The Grapes of Wrath, Miss Saigon, The Piano Lesson, King David, The Civil War, and A New Brain. He is presently working as co-editor of a collection on the plays of August Wilson through lenses of spectatorship and reception. ​Darrah Cloud is currently working on TURNING, commissioned by Centenary Stage, and SABINA, a musical adaptation of Willy Holtzman’s play. OUR SUBURB premiered at Theater J in Washington, DC in 2014. JOAN THE GIRL OF ARC toured with Cincinnati Playhouse, 2014. Other plays produced across the U.S. include WHAT’S BUGGING GREG?, THE STICK WIFE, THE MUD ANGEL, DREAM HOUSE, BRAILLE GARDEN and THE SIRENS. Her musicals include HEARTLAND, (Goodspeed Opera, Madison Repertory Theatre, The Majestic Theatre/Dallas, TheatreWorks Palo Alto) THE BOXCAR CHILDREN (Theatreworks USA), HONOR SONG FOR CRAZY HORSE (TheatreWorks Palo Alto) and the stage adaptation of Willa Cather’s O PIONEERS!, filmed for American Playhouse. Her work is published by Dramatic Play Publishing. Awards include: Macy’s Prize for Theatre for Young Audiences, NEA, Rockefeller. Proud member of the Dramatists Guild, alum of the Iowa Writers Workshop and New Dramatists. She co-directs The Howl Playwrights in Rhinebeck, NY and teaches at Goddard College. VIRGINIA P. LOULOUDES (Ginny) is celebrating her 27th year as A.R.T./New York's Executive Director. Since her arrival in 1991, at A.R.T./New York's budget has grown four times, and its membership has grown from 150 to 400 theatres. Virginia conceived and developed many of A.R.T./New York's signature programs, including two shared office and rehearsal spaces: South Oxford Space and Spaces@520, the Nancy Quinn Fund, the Bridge Loan Fund, and the Theatre Leadership Program. She will be managing the Andrew W. Mellon New York Theatre Program with A.R.T./New York’s Co-Directors of Programs: Kati Frazier and Corrine Woods. In January, 2017, A.R.T./New York opened the doors of our most ambitious project ever: the A.R.T./New York Theatres, two state-of-the-art performance spaces of 87 and 149 seats respectively on West 53rd Street and 10th Avenue. The A.R.T./New York Theatres were built as a public-private partnership with the City of New York. As part of the New York City’s Department of Design and Construction’s Design Excellence Program, A.R.T./New York got to work with world-renowned architect Toshiko Mori! A.R.T./New York raised nearly $3 million to help subsidize rent for the next 25 years while being able to provide FREE technical equipment to our members. Virginia currently serves on the Board of the John Golden Foundation; and has served as a panelist for the National Endowment for the Arts and the Andrew W. Mellon Foundation, and as an Arts International marketing consultant to performing arts organizations in Prague. She has taught arts marketing in the Masters of Arts Management Programs at New York University and Marymount Manhattan College, and has served as a guest speaker at the Yale School of Drama. She has a BA in Humanities from Johns Hopkins University and an MA in Performing Arts Management from American University. She currently resides in Bay Ridge, Brooklyn with her family. Ian Belknap is the artistic director of Tony honoree The Acting Company. He has directed or produced many classical plays including: Twelfth Night, As You Like It, Hamlet, Julius Caesar, Romeo and Juliet, The Comedy of Errors,Rosencrantz and Guildenstern are Dead, Of Mice and Men; and new work, Marcus Gardley’s X or Betty Shabazz v. The Nation, Desire, new plays by John Guare, Beth Henley, David Grimm, Marcus Gardley, Elizabeth Egloff, and Rebecca Gilman; and The Connecticut Yankee in King Arthur’s Court by Jeffrey Hatcher. He has produced plays by leading directors that include: Maria Aitken, Penny Metropulos, John Rando, Michael Wilson, Dan Rothenberg, Seret Scott and many others. He has directed at many theaters across the country including The Guthrie, Delaware’s Resident Ensemble Players, Boise Contemporary Theater; and at leading drama schools including The Juilliard Drama Division and New York University. 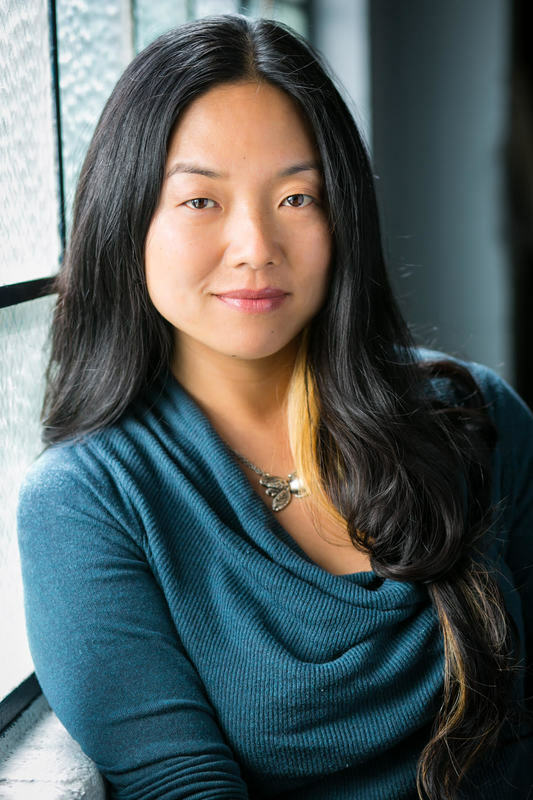 ​Desdemona Chiang is a stage director based in Seattle and the San Francisco Bay Area. Co-Founder of Azeotrope (Seattle). ​Directing credits include Oregon Shakespeare Festival, California Shakespeare Theater, Seattle Repertory Theatre, Playmakers Repertory Company, Long Wharf Theatre, Seattle Children’s Theatre, ACT Theatre Seattle, American Shakespeare Center, Seattle Shakespeare Company, Heritage Theatre Festival, Book-It Repertory, Aurora Theatre Company, Seattle Public Theatre, Shotgun Players, Crowded Fire Theatre Company, Azeotrope, Impact Theatre, Playwrights Foundation, Golden Thread Productions, Washington Ensemble Theatre, One Minute Play Festival, Ohio Northern University, University of Washington, and Cornish College of the Arts, among others. Assisting and dramaturgy credits include: Oregon Shakespeare Festival, Intiman Theatre, Playmakers Repertory Company, A Contemporary Theatre, California Shakespeare Theater, Arizona Theatre Company, Mark Taper Forum, Magic Theatre, Theatreworks, Rattlestick Playwrights Theatre, among others. Intersection for the Arts Triangle Lab Artist-Investigator. Adjunct Faculty, Cornish College of the Arts. BA: University of California at Berkeley. ​MFA Directing: University of Washington School of Drama. Shirley Basfield Dunlap is the coordinator of Theatre Arts and an Associate Professor of Fine and Performing Arts at Morgan State University in Baltimore, Maryland. She holds a Ph.D. from the University of Maryland, Baltimore County where her dissertation was “The Oral History of African American Stage Directors of American Theatre.” She has been an Associate Professor at Iowa State and Towson Universities. As a member of the Society of Stage Directors and Choreographers she has directed in regional theatres which include Milwaukee Rep, Madison Rep, Dallas Theatre Center, Delaware Theatre Company, The Human Race Theatre (Dayton, Ohio), Buffalo Studio Arena, The Hippodrome Theatre (Gainesville, Florida), and Chesapeake Shakespeare Company (Baltimore, Maryland). Even though she has directed award winner Ossie Davis, Sesame Street’s favorite dad Roscoe Orman and Tony Award winner Melba Moore, her favorite productions are …Stacie and Wesley Dunlap! Mark Clayton Southers and his family reside in Pittsburgh’s historic Hill District. He is an award winning playwright, stage director, scenic designer, Photographer and theatrical producer. Now in his third career he is the founder and producing artistic director of the Pittsburgh Playwrights Theatre Company where he has produced well over 150 full length and one act plays since 2003 including August Wilson’s complete 10 play Pittsburgh Century Cycle. He began his theatrical acting career with the Kuntu Repertory Theatre with Dr. Vernel Audrey Watson Lillie. Some of his Kuntu acting credits include, Rob Penny's Among the Best, Boppin' with the Ancestors, Black Pittsburghers and Diane's Cries out for More. Other Kuntu credits include: The Trail of One Shortsighted Woman vs Mammy Louis and Safeeta Mae, Toussaint, Booker T. Washington and W.E Dubois, Blues for an Alabama Sky, Tambourines to Glory, Cryin Shame and Lifting by Frank Hightower. Other Pittsburgh stage credits include: The Trials and Tribulations of Stagger Lee Booker T Brown By Don Evans. Internationally he's appeared in Next Stop Ellipses for Each One Tell One at the Gramstown Arts Festival in South Africa. For Bricolage Theatre Company, Bus 3 & 6, and for The Pittsburgh Playwrights Theatre Co, When The Water Turns Clear, Comfort Zone and August Wilson's Radio Golf. As a playwright he has penned more than seventeen full-length and one-Act plays that have been produced locally, nationally and Internationally. His play Ma Noah was the recipient of the 2004 Theodore Ward prize at Columbia College, Chicago. Angry Black Man Poetry aka End Angered Species had a successful run at Teatr Śląski in Katowice, Poland in 2009. His most work Mrs Julie, Clarissa and John opened the 40th season at the St Louis Black Rep and was also selected for the main stage at the 2017 National Black Theatre Festival in Winston-Salem North Carolina. It went on to the prestigious Edinburgh Fringe Festival in Scotland for a three week run. Mark's film appearances include, Silence of the Lambs,Hoffa, Iron Maze, Striking Distance, Won't Back Down, Lightweight and most recently Rebuilding the Hill. He also appeared in the Young and the Restless as Police Officer Eddie Giles. As a stage director his favorite directing credits include Paul Robeson for the Griot Ensemble Theatre Company; Pill Hill for New Horizon Theatre; Dutchman for Bricolage Theater Company; Ma Rainey's Black Bottom and The Piano Lesson for American Stage Theatre, Gem of the Ocean for Human Race Theatre; Passing Strange and Ma Rainey's Black Bottom for Short North Stage Theatre; PaPa Doc and Robeson for Trilogy Opera Company, and Dorothy Six, Seven Guitars, VALU-MART, Jitney and FENCES for The Pittsburgh Playwrights Theatre Company. A Gathering of Sons for Pittsburgh Festival Opera and The Battle of Homestead for the BOH Foundation. Mark is a member of the Dramatist Guild of America, a company director for Trilogy an Opera Company an a board member for the August Wilson House.